When I was 10-years-old my older brother had finished reading CUJO and I was fascinated by the cover. He warned me that I was too young for such an adult book which I took as a challenge. I began reading King’s CUJO and by the time I finished it I knew exactly what I wanted to be, what genre I wanted to write in, and who my idol was. I write horror/thrillers. They’re the kind of stories that aren’t overtly gory but more so character driven. They would almost be contemporary dramas if it weren’t for a thread of the supernatural; something very unbelievable happening in a story that feels otherwise very believable. 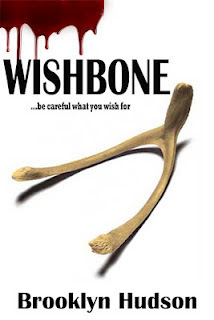 WISHBONE is the story of a Manhattan power couple who survives a tragedy and attempts a fresh start only to be plagued by unexplained and disastrous occurrences. It is a warning tale; be careful what you wish for, but it is even more so a tale of loyalty challenged by greed. I’ve written thirteen novels but WISHBONE is my baby. I love its characters, especially Julien who is so imperfectly perfect. Social media is playing a huge role in the marketing of WISHBONE. Facebook, Twitter, Goodreads, you name it, I’m on it. I run contests and make an effort to respond to every person who reaches out to me. I’ve made two promotional videos for the book. They aren’t traditional book trailers; one is a parody of the famous Blair Witch trailer. Good stuff. The book is currently available through Amazon and on Barnes and Noble on line; both Kindle and print. I always have music playing, even as I write, but my guilty pleasure is reality show contests. The only shows I will stop what I’m doing to watch and not watch later via the dvr are shows like Celebrity Apprentice, American Idol, and America’s Got Talent. I am shamefully addicted to these shows. Peter Benchley, Michael Crichton, and of course, I worship at the altar of Mr. Stephen King. 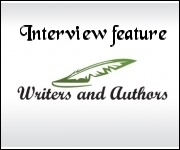 For those aspiring to be authors, write, write, and write some more. Every word put to paper improves your writing and with each improvement you come closer to publishing. For those who have been at this for a while, the same goes. We can always improve and there is always another story to be told. And write for the love of writing; not to get rich, not to get famous. Once you put those expectations on the completion of a novel, the fun goes away and the desperation sets in. If you don’t get lucky immediately you feel you have failed, when in reality you’ve completed a novel and have failed at nothing, but rather succeeded. Playing God in our own little Eden. We get to have friends that always do what we want. Actually, that’s not true. I have often been frustrated by something a beloved character did that I really didn’t want them to do, but it was right for that character and the scene. Facebook; either my personal profile or the WISHBONE(Supernatural Thriller) fan page. Yes, thank you to everyone who has bought the book. Oh, and adopt an older pet from your local shelter; you may have a few less years with them, but the years you will have will be all that more rewarding.